(New York – January 7, 2014) – There's a new book on behavior out today and Goodnewsforpets.com is helping spread the word. 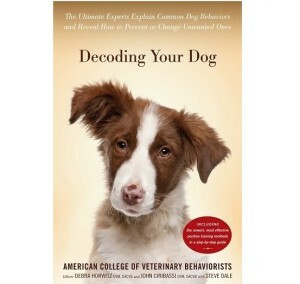 Written by several diplomates of the American College of Veterinary Behaviorists (ACVB), "Decoding Your Dog," is now available. The ACVB is concurrently debuting a monthly column, "Helping People Help Their Pets" on Goodnewsforpets.com. "The ACVB is thrilled to have this opportunity to showcase the book's chapter authors and behavior topics on a regular basis. 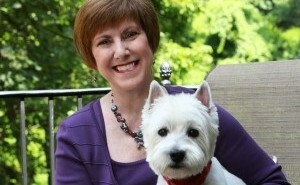 Goodnewsforpets.com has a long history of bringing important veterinary care information to the pet-owning public and we look forward to the collaboration," said Debra F. Horwitz, DVM, DACVB, ACVB Public Relations Chair. 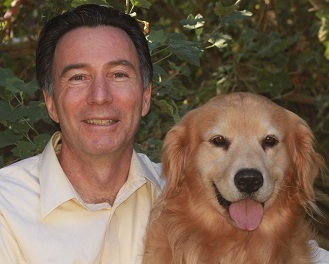 The launch column features interviews with two of the book's editors, Debra F. Horwitz and John Ciribassi, DVM, DACVB. The February column will be supplemented by Steve Dale, the book's other editor and a nationally syndicated pet journalist and radio host. 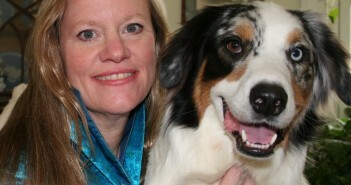 According to Goodnewsforpets.com publisher Lea-Ann Germinder, the column series is part of a longer-term strategy to bring greater focus to areas of veterinary specialty to the pet-owning public. "We have covered many important topics in veterinary medicine over the years, but certain issues really resonate with the Goodnewsforpets.com community. When we have an expert speak to that topic, our audience responds. Pet behavior – the good, the bad and even the different -- is one of them. That's why I am especially pleased to highlight the ACVB and this book through the column," said Lea-Ann Germinder, APR Fellow PRSA. According to the book publishers, more than ninety percent of dog owners consider their pets to be members of their family. But often, despite best intentions, we are letting our dogs down by not giving them the guidance and direction they need. Unwanted behavior is the number-one reason dogs are relinquished to shelters and rescue groups. The key to training dogs effectively is first to understand why our dogs do what they do. And no one can address this more authoritatively than the diplomates of the American College of Veterinary Behaviorists, whose work, the culmination of years of rigorous training, takes them deep into the minds of dogs in an effort to decode how they think, how they communicate, and how they learn. The ACVB columns on Goodnewsforpets.com will highlight the content from Decoding Your Dog with the experts that deliver a must-have dog behavior guide that ultimately challenge the way we think about our dogs. About the American College of Veterinary Behaviorists (ACVB): Diplomates of the American College of Veterinary Behaviorists (DACVB) are veterinarians who are specialists in the field. These specialists have completed a residency or training program in the discipline of veterinary behavioral medicine. As part of this program they have studied topics including: sociobiology; psychology of learning; behavioral genetics; behavioral physiology; psychopharmacology; ethology; and behavioral endocrinology. Visit www.dacvb.org. About Goodnewsforpets – Goodnewsforpets is published by Germinder & Associates, Inc., an agency specializing in animal health. The site features news and information of interest to the veterinary community, the pet industry and the pet-owning public. For more editorial information and sponsorship opportunities, contact Lea-Ann Germinder at Lgerminder@germinder.com. For information about Germinder & Associates, visit www.germinder.com.